Part of our mission is sharing the joy and importance of tending to our public lands with the next generation of park stewards. 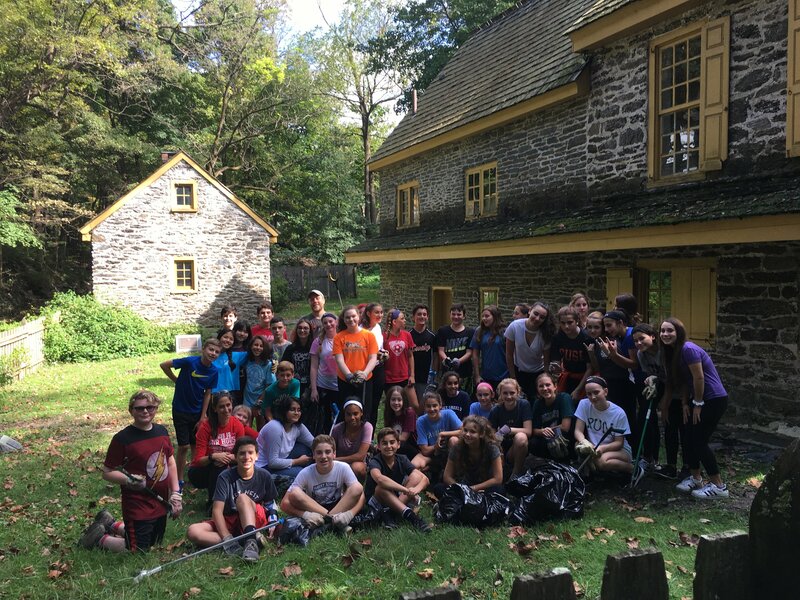 Volunteering as a school group provides a wonderful outdoor experience for students – they learn about the history and necessity of Wissahickon Valley Park, get their hands dirty while helping maintain it, and walk away with the pride of knowing that they made a positive difference. In addition to taking part in our public Volunteer Service Days, we typically reserve one Wednesday per month for school groups to volunteer with us. Start/end times and projects can be flexible, based on the group. 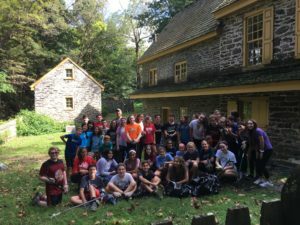 For any schools that are interested in scheduling a workday outside of Wednesdays, and are not a Philadelphia Public School, we ask a donation of $12 per student in order to put a workday together for you. Transportation is not provided by FOW. Contact Shawn Green, Volunteer Manager at green@fow.org for more information and to make arrangements. Friends of the Wissahickon also provides programming for kindergarten and first grades in Philadelphia Public Schools. For more information on this, contact Lorraine Awuku, Development Manager at awuku@fow.org.